AQUACADE FOUNTAINS Brass DN25 1" Cluster Fountain Nozzle | Fountain City Art Ctr. 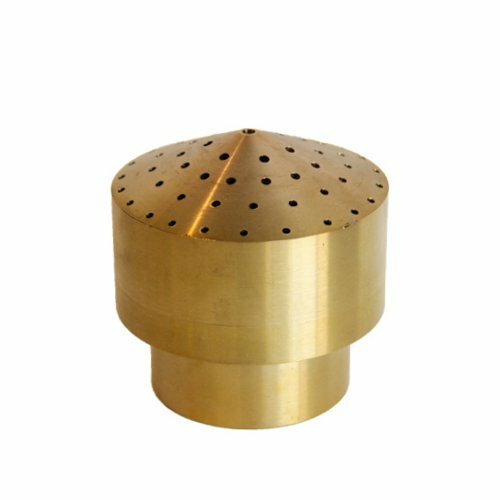 Cluster is a small to medium size nozzle provides attractive cluster water pattern. It creates a sparkling and unique firework effect of clear streams that are stable in wind. Cluster is ideal for small and medium size displays and it is water level independent. This products contains chemicals known to the State of California to cause cancer and birth defects or other reproductive harm. If you have any questions about this product by AQUACADE FOUNTAINS, contact us by completing and submitting the form below. If you are looking for a specif part number, please include it with your message.